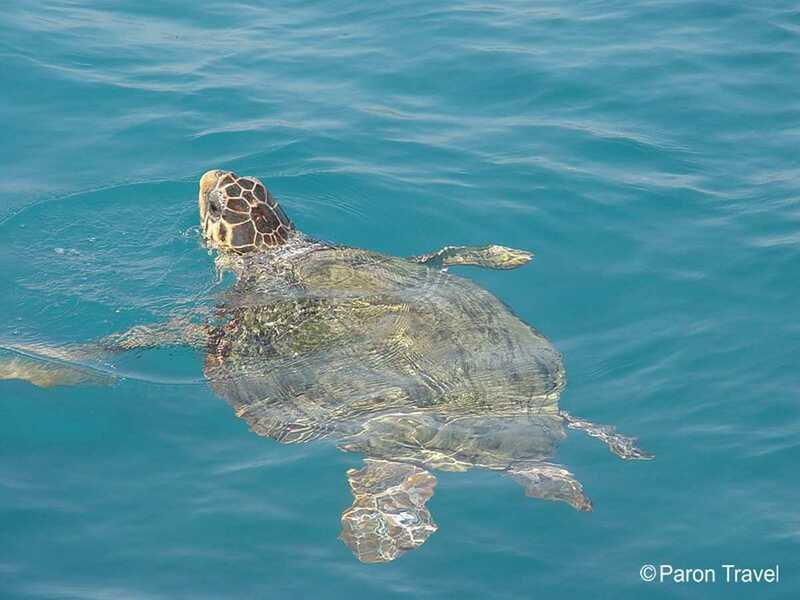 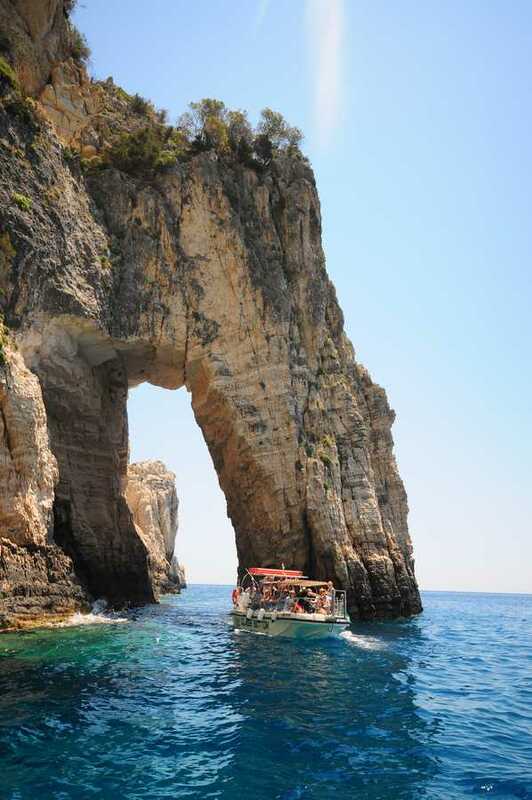 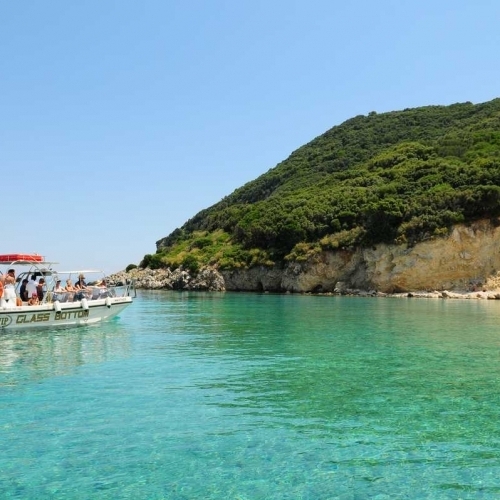 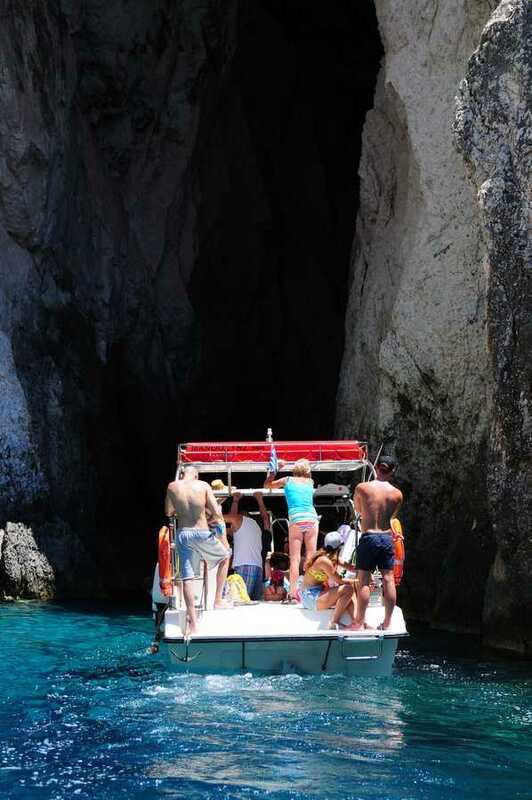 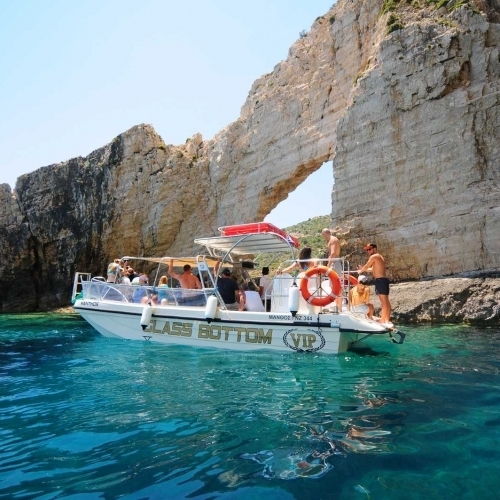 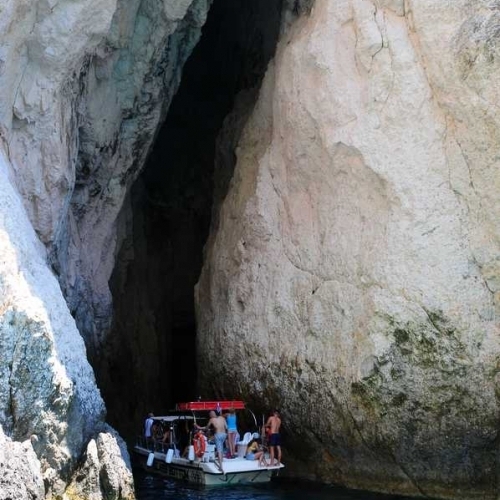 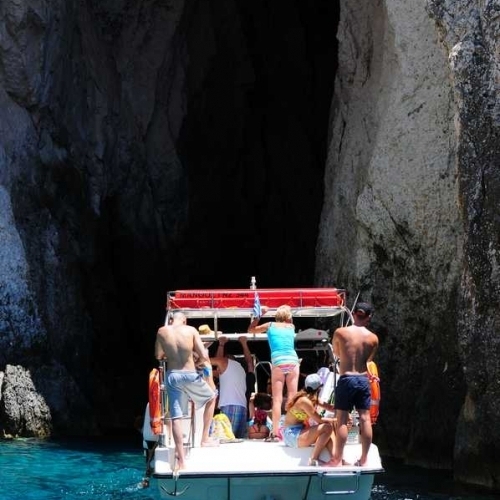 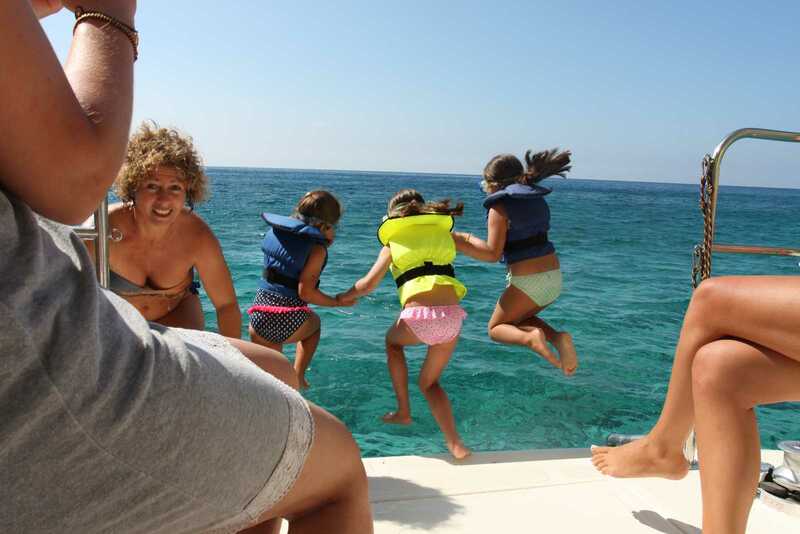 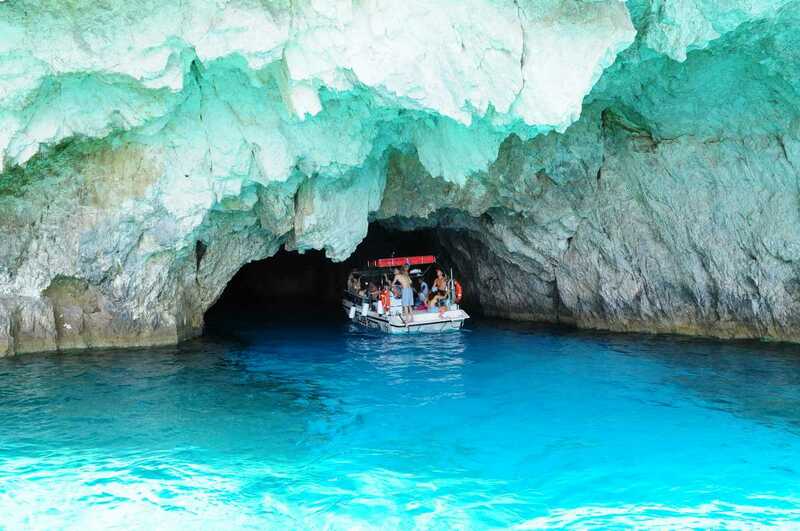 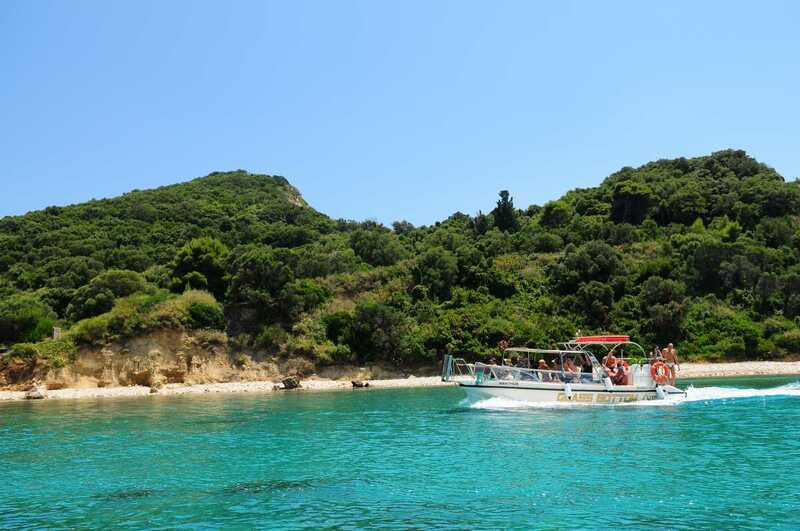 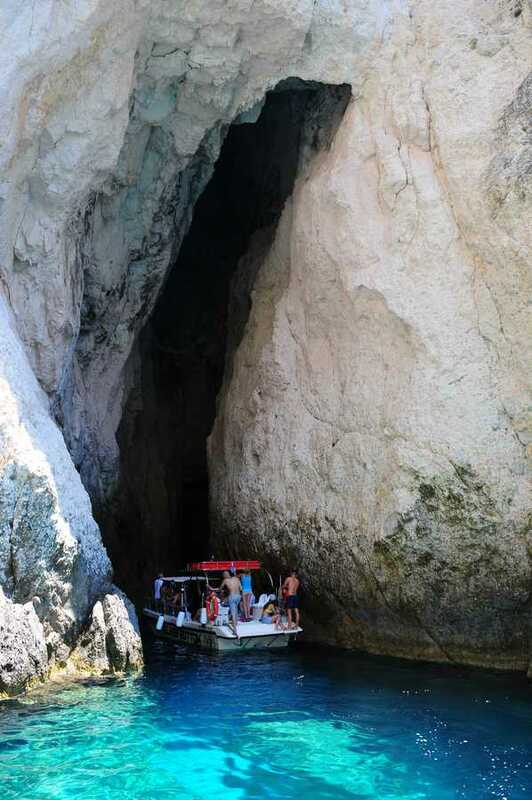 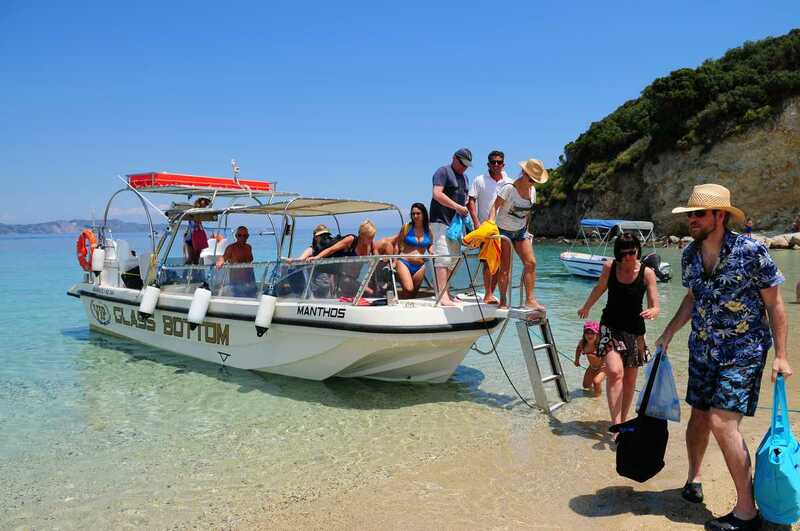 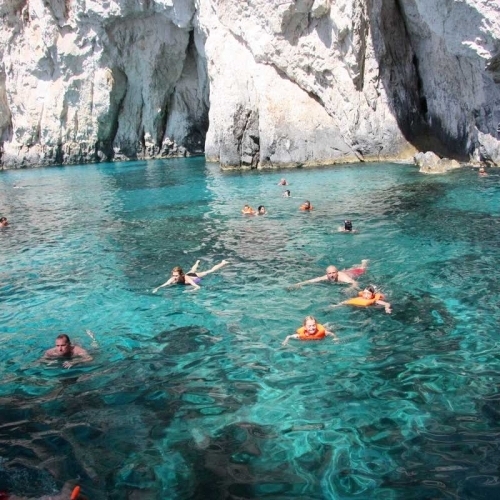 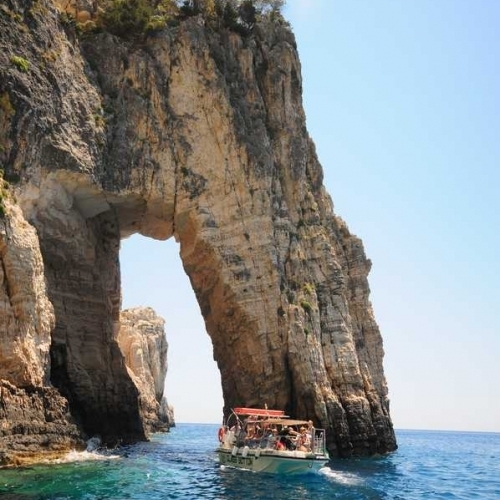 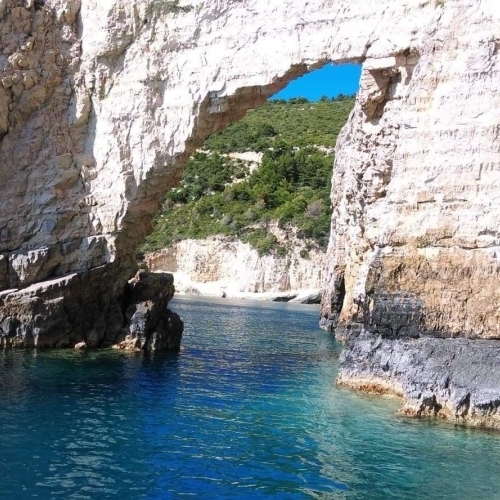 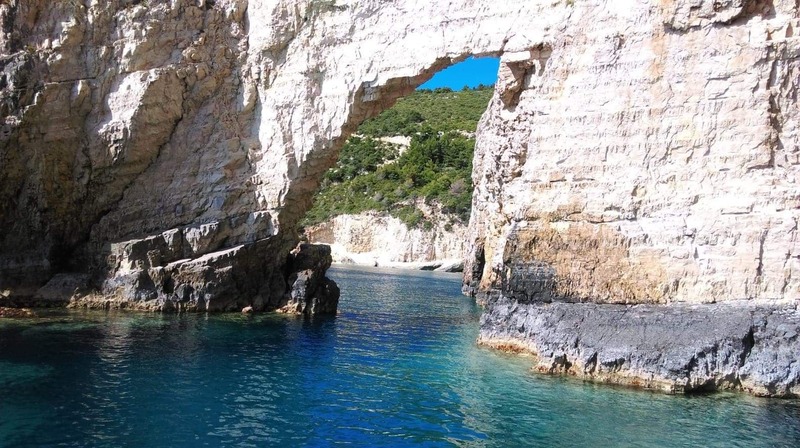 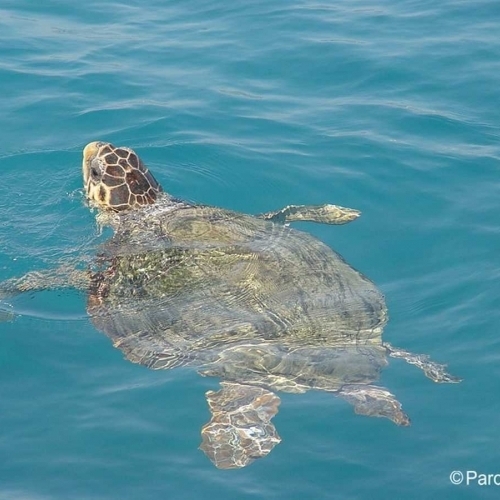 Don’t miss out on the chance to admire the majestic giant turtles (Caretta Caretta) in their natural environment, to explore the breathtaking Keri Caves, and to swim at Marathonisi Island. 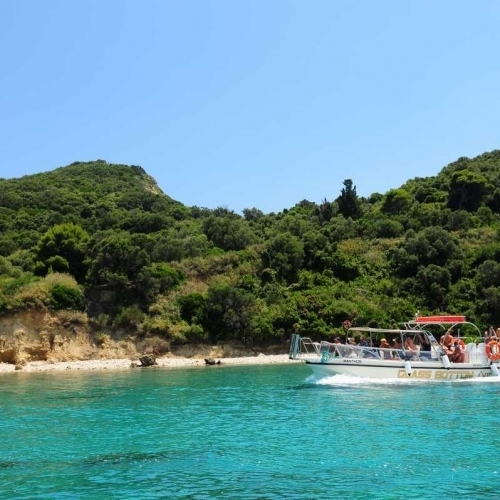 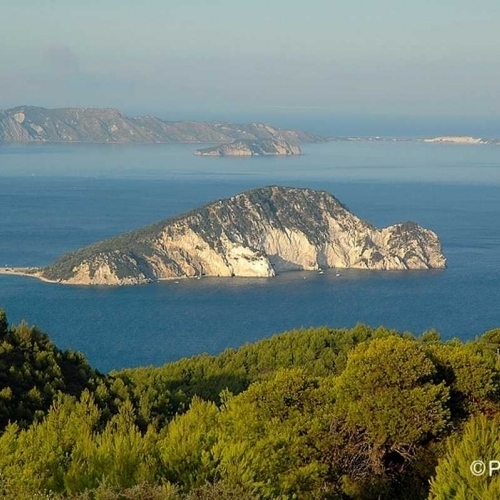 Marathonisi island also called Turtle island has a huge white sandy beach on one side and on the other, a pebble beach next to caves. 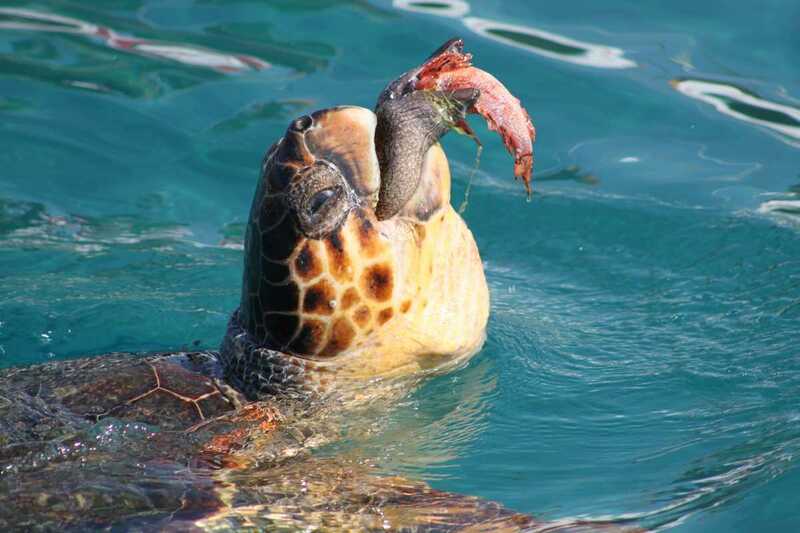 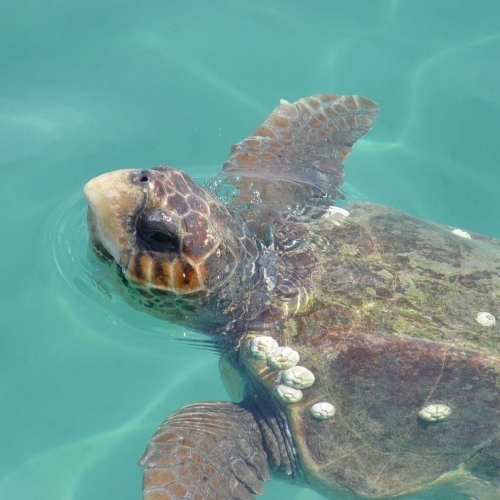 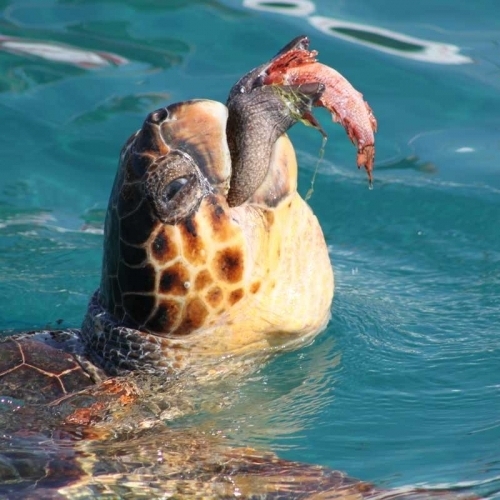 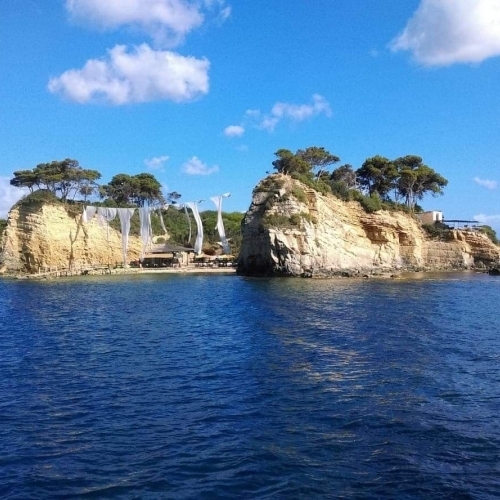 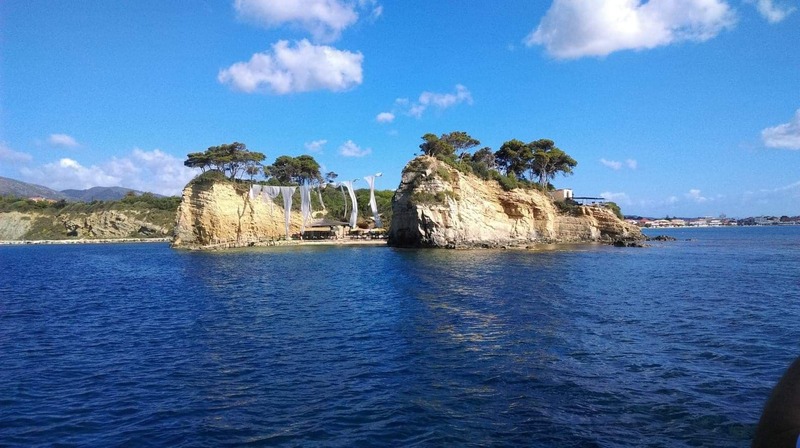 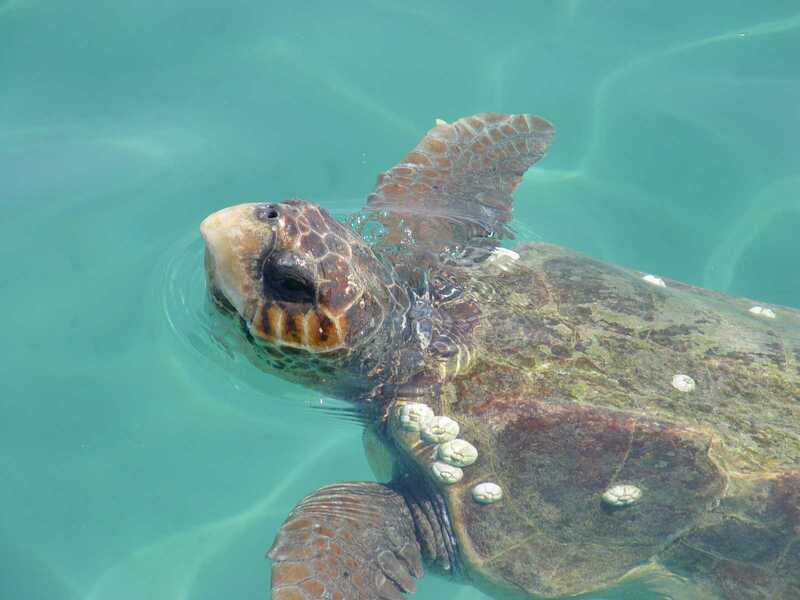 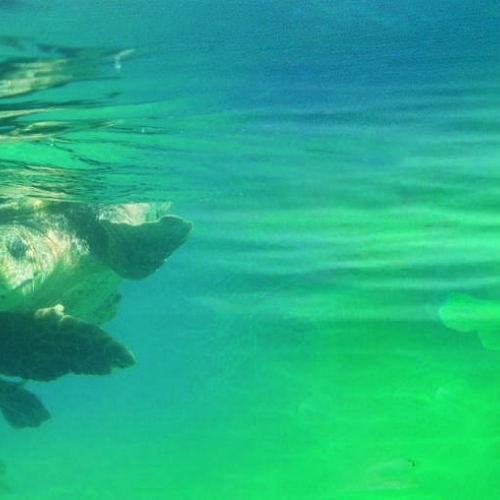 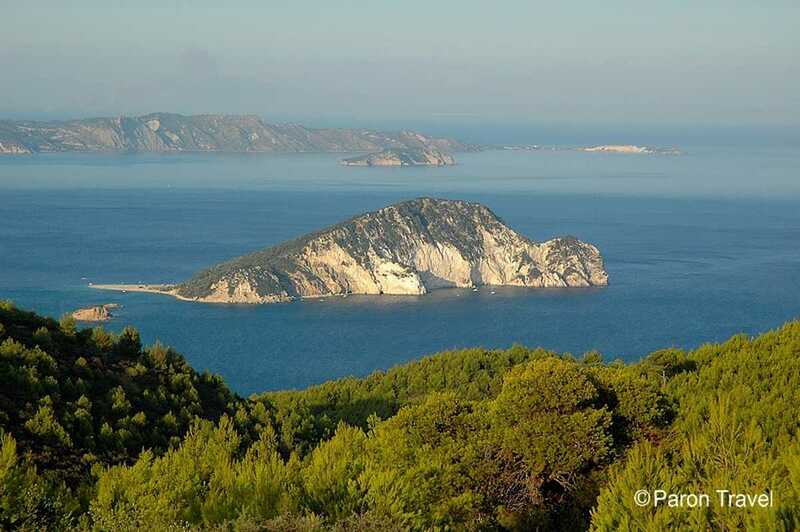 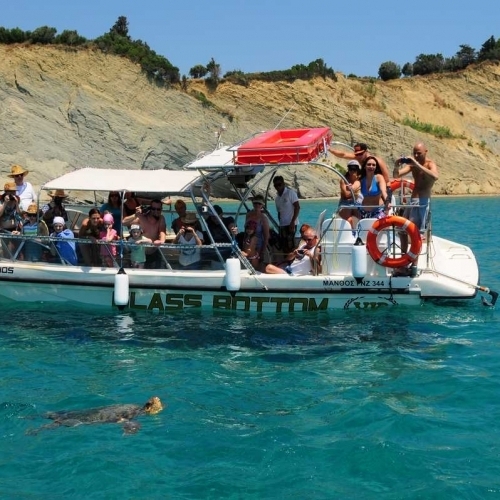 These two sights are known as the biggest breeding ground for the Caretta Caretta and we guarantee that you will spot the rare giant turtles in the surrounding area. 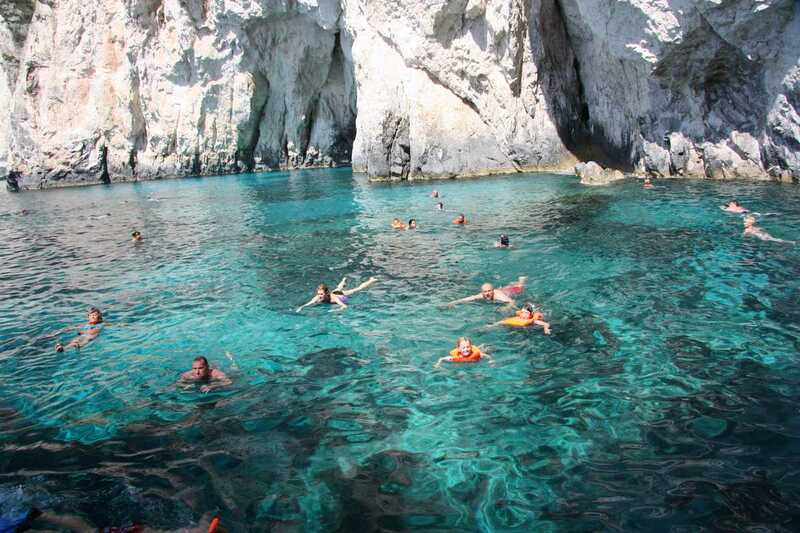 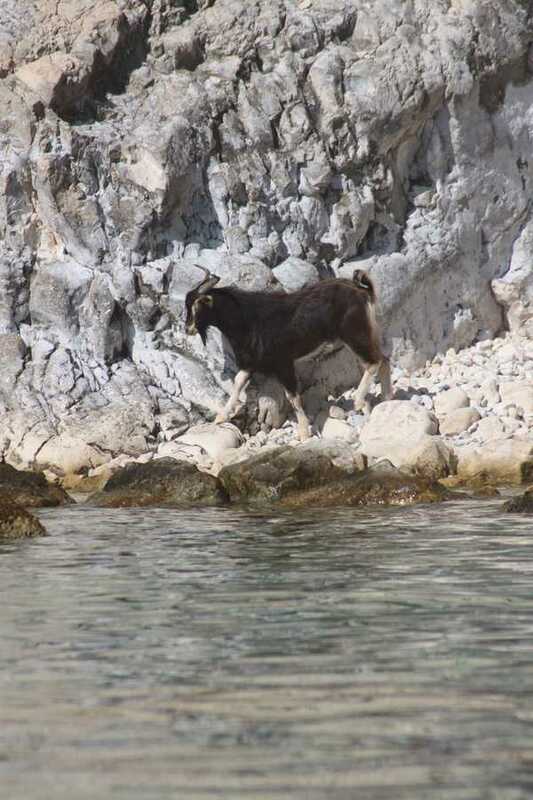 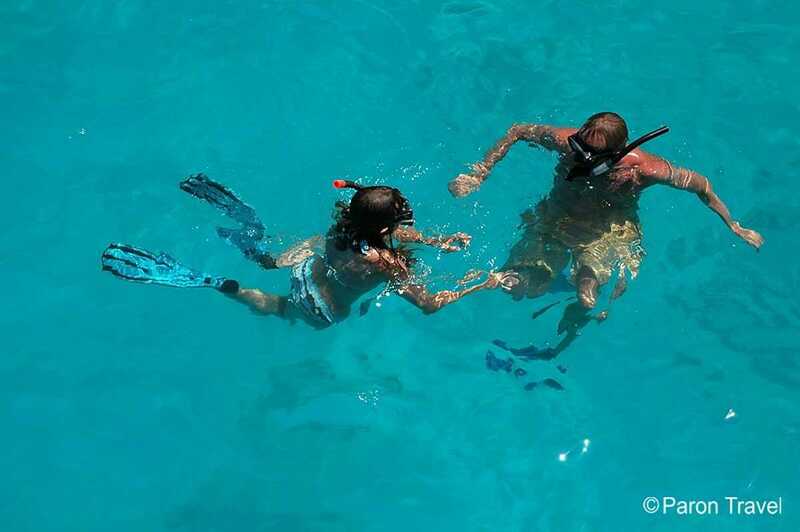 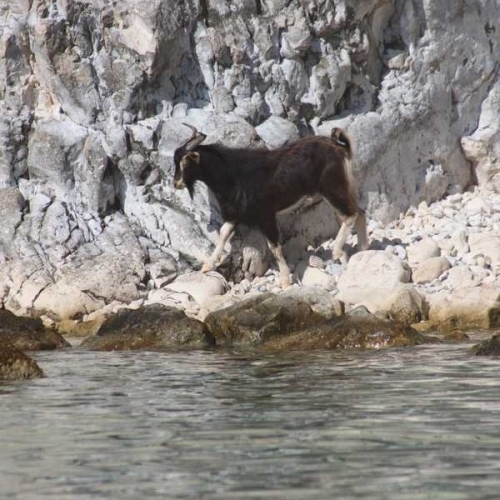 A perfect 3HR trip available in the morning, midday or afternoon with the opportunity to swim and snorkel at each sight. 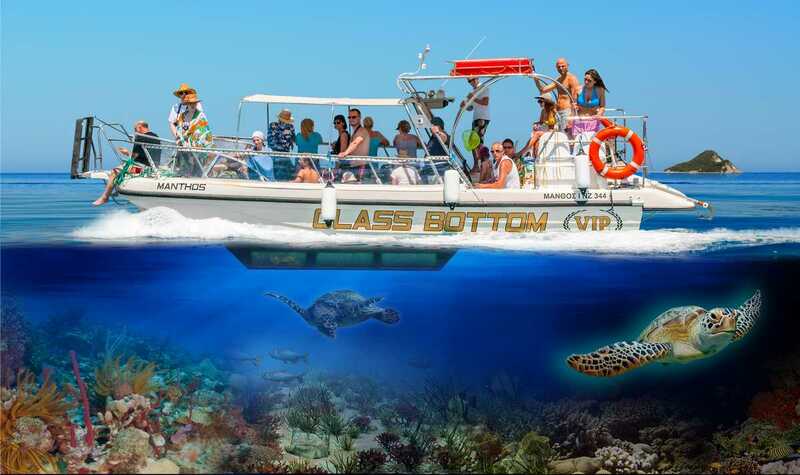 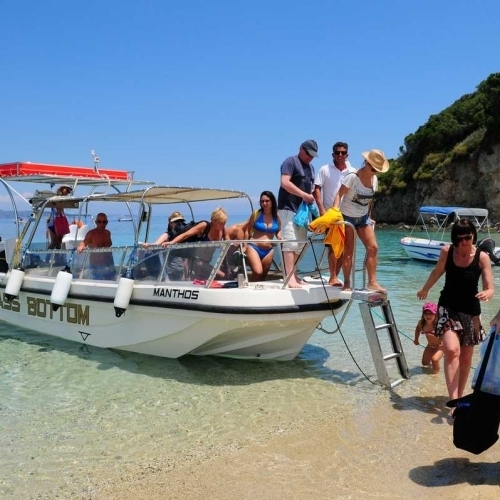 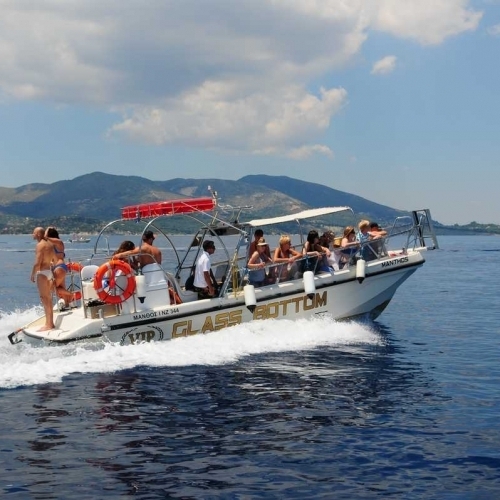 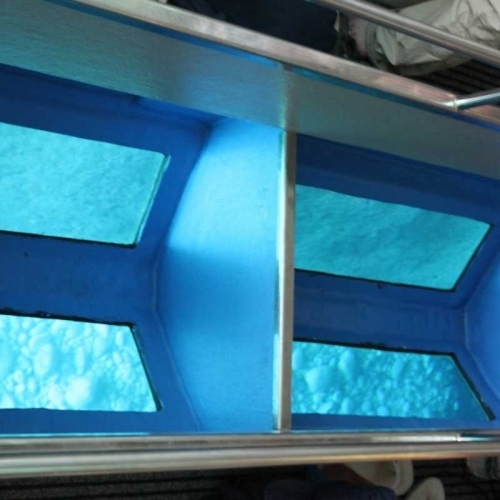 The glass bottom boat has a maximum capacity of 24 pers. 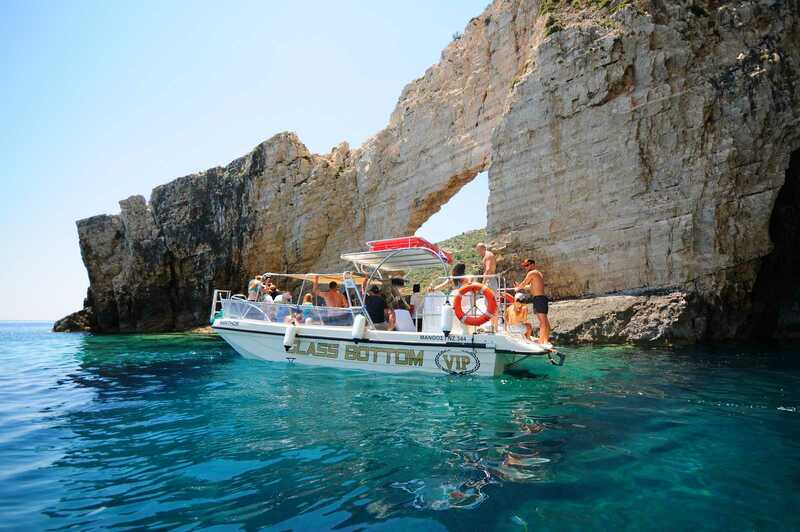 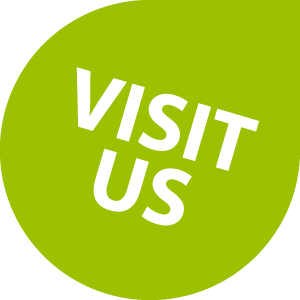 Experienced Captain Manthos, most friendly and always ready to answer all your questions will make your trip enjoyable and one that you will never forget. 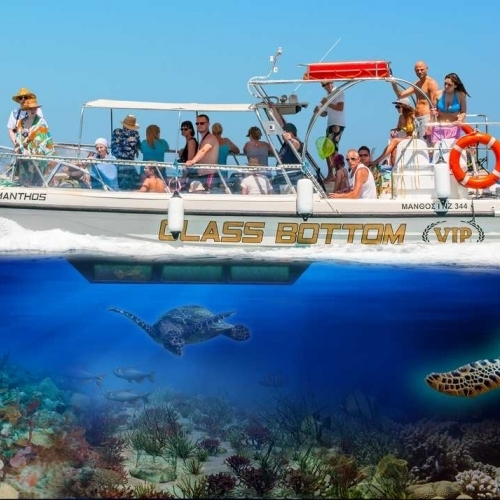 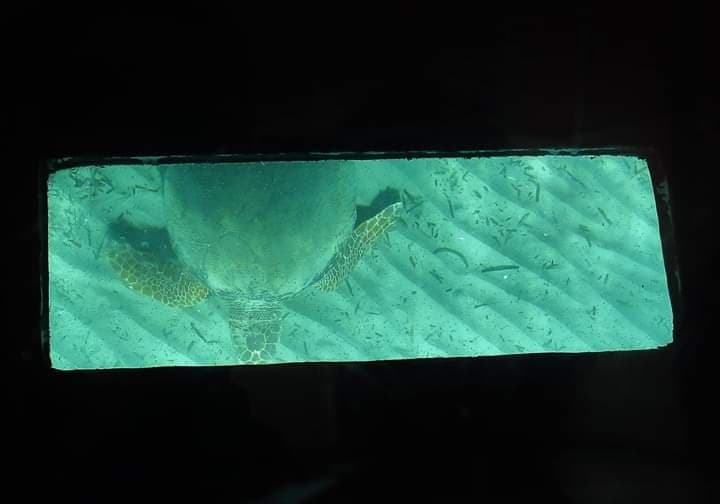 Out of all the many available turtle tours we have selected this one as the best turtle spotting trip and we do recommend it without any doubt. 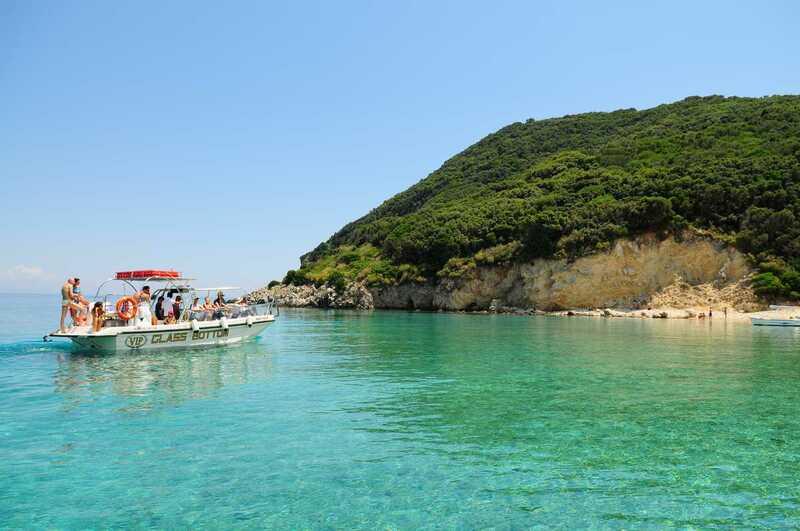 Opposite from where we set off is a minimarket for cool drinks and snacks. 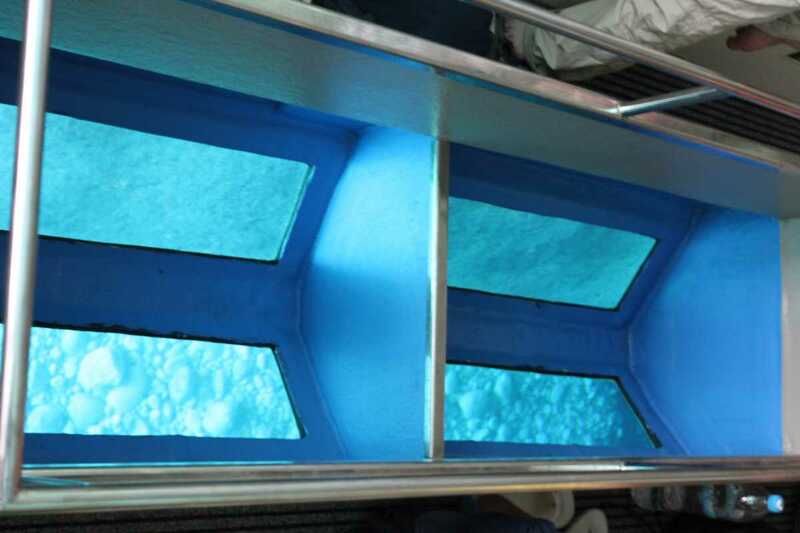 On board there are no drinks, snacks or toilets available. 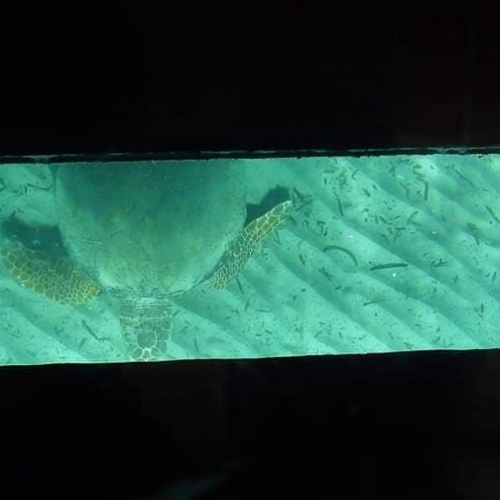 Feel free to take your own food and drinks. 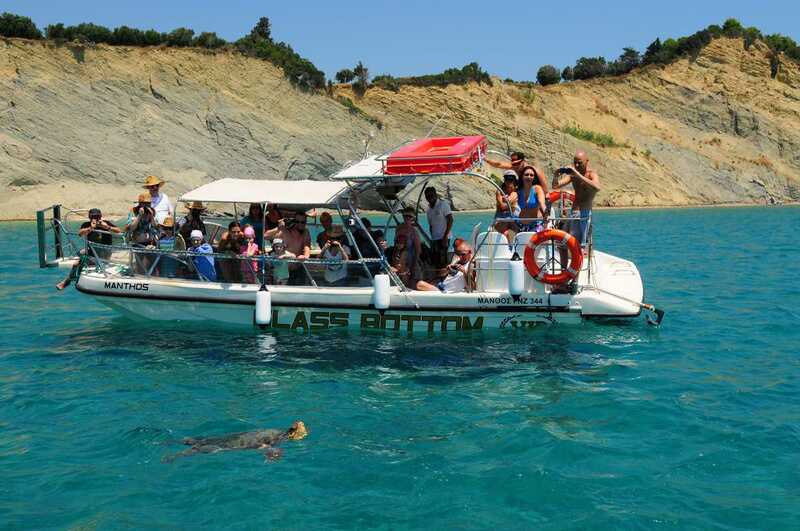 NOTE : Boat trips and their program are subject to change depending on weather conditions. 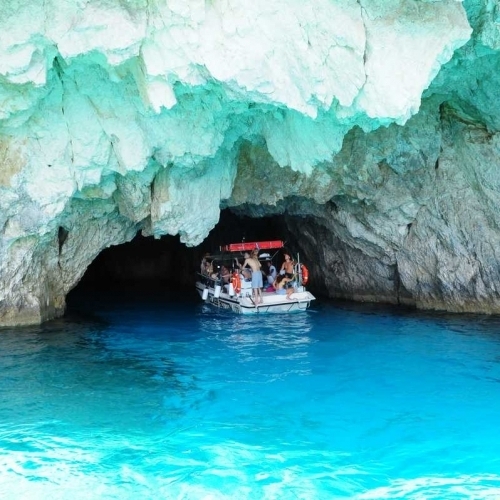 The trip can be cancelled or rescheduled in case of weather conditions. 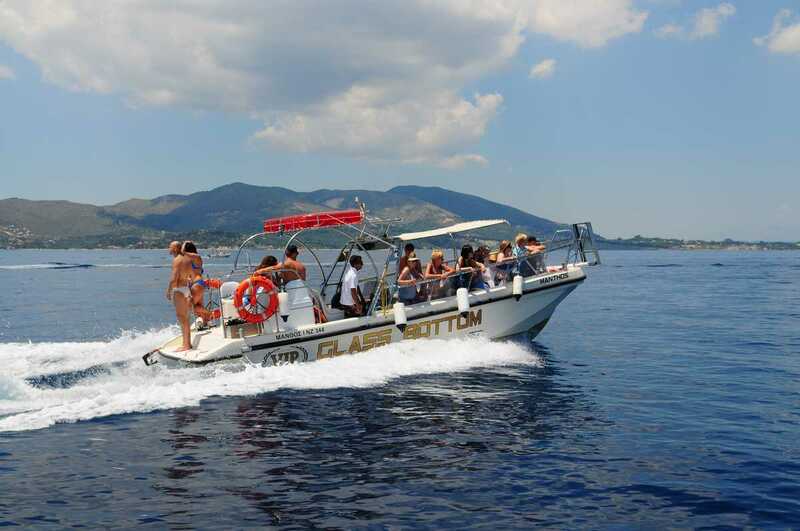 If the boat supplier cancels the trip, you will receive full refund.